I’ve been waiting to post this until pictures from the race came out so I could add one of them. Turns out all the ‘hands up victory’ poses I did got missed and one of me dying was nicely captured. Isn’t that always the case? Needless to say, there will be no actual race pictures. Sunday I decided to go run 9.3 miles with over 2,000 of my closest friends for the Hot Chocolate 5k/15k Denver Race. I was incredibly nervous, as I have only ran over 6 miles about 5 times in the past year… and that includes the Tough Mudder last year. I was scared I was woefully undertrained and my stomach was in knots during my early drive down to the Denver. The 5K started at 7 am, with the 15K starting at 7:50. 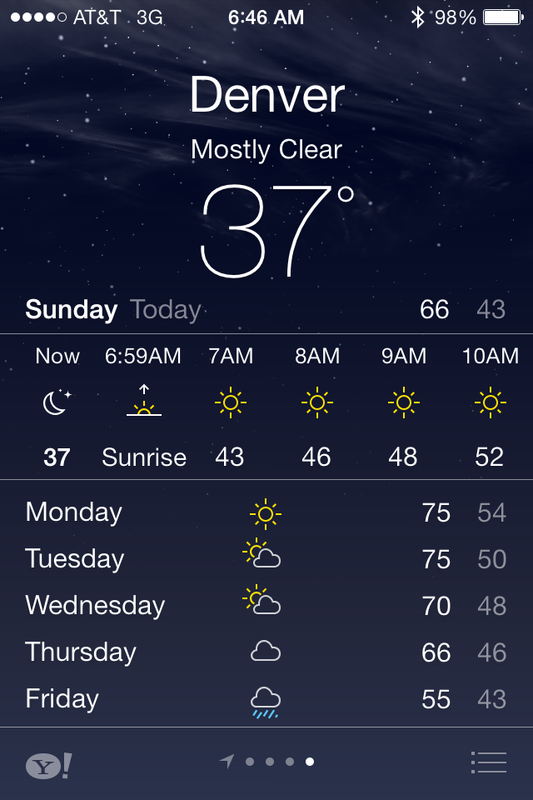 It was a bit of a chilly start. Some people went as far as to stand over the sewers so the steam would heat them (I was not that desperate). The first mile went by really quickly as we ran through the Downtown Denver area, including past my office! I saw a man in front of me running with the strangest stride. The best way to describe it is that he looked like he had moon boots on, with his feet super wide and bouncy. But he was around the same “pace” as I was, so I decided Mr. Moonboots and I were going to be pace buddies. This lasted until mile 5, when I tried to be super cool and look like a pro runner, grab a gatorade, and drink it mid-stride. I then proceeded to choke, stop, sputter and cough When I looked up Mr. Moonboots had gotten quite far ahead. So, I took up following Ms. Peacock-Tights instead. This is how I entertain myself during long runs. I know, it’s weird. Half way through mile 7 I started dragging, thinking how much I wanted to stop and walk. A long hill didn’t help. I kept thinking about Janae’s slogan “It’s rude to count people as you pass them… out loud” . This was not because I was passing people, but because I kept getting passed and wondered how many of them were counting me. 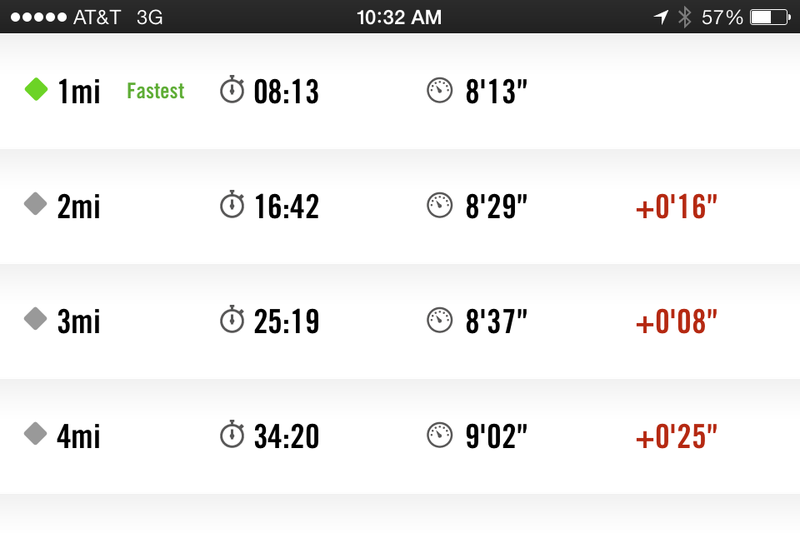 Mile 8, I decided to pick up the pace a bit, I thought I had more in me and I wanted to finish strong. I started pumping my arms, stretching my legs, felt myself getting a little faster….and watched a 90 year old man, half bent over, breeze on by me. I had tunnel vision by the time I entered the shoot. I didn’t even look for my boyfriend and coworker (who had run the 5K and had stayed to cheer me on with a sign her adorable daughter had made me!). 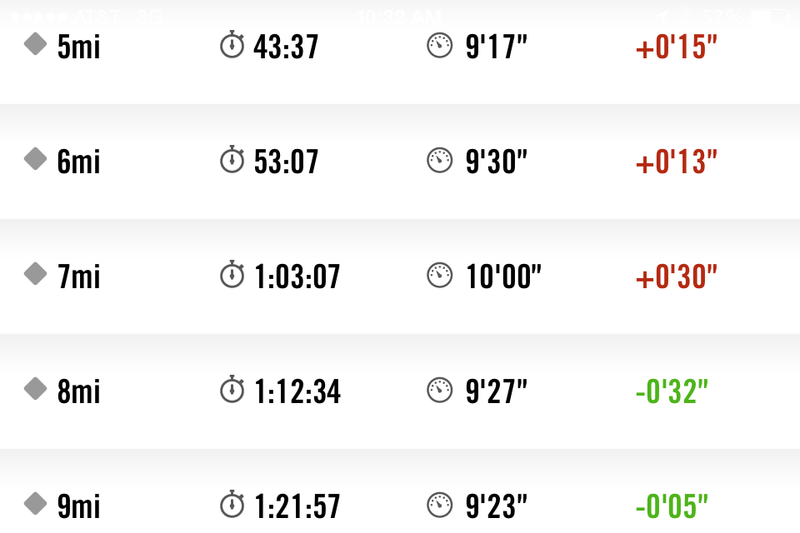 I was a little bummed I didn’t break the 9 minute mile barrier (my tracker said 9:01), but I hadn’t expected to even get that with my lack of long run training. My GPS recorded the course as 9.49miles, but that was probably due to my bobbing and weaving. Afterwards we got hot chocolate and chocolate fondue, with pretzel, crackers, a banana, and marshmallows to dip in it! The race was SUPER well organized, with a wide open course and digital clocks at each mile marker for those who didn’t have a GPS. They had water stations every mile, and I three or four bathroom stations too. I think it may have been the best organized race I have ever done. My coworker and I are already trying to decide which one we want to do next! Race fever, baby! 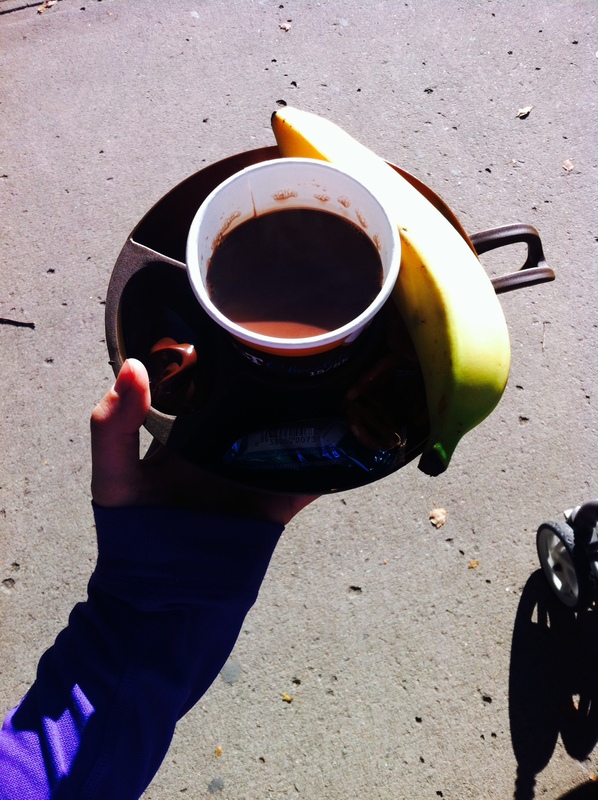 This entry was posted in Uncategorized and tagged denver, diet, Healthy, race, Run, Running by fionaboger. Bookmark the permalink. Awesome job!!! I would love to do a race like that! Peacock tights? Man, I want some of those!